The Xootr Street is the “tank” in the Xootr line-up! With a virtually indestructible deck constructed from a solid block of 6061 aluminum, it provides a light and (literally!) bulletproof structure. The new X4 model features a QuickLatch locking system for easy folding, portability & storage, replacing the Ergo Locking Pin from prior models. 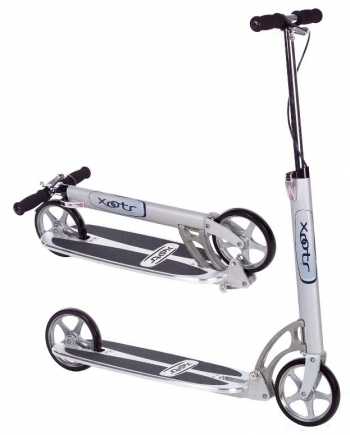 As with all Xootr scooters, the Street employs the patented steering and folding system for easy transport and storage.